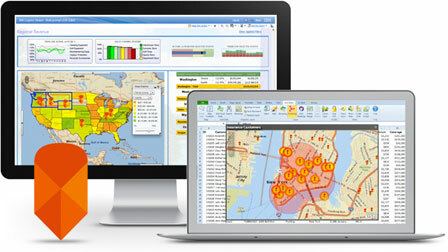 Esri Location Analytics makes it easy to geo-enable your business data with intuitive mapping and analytical tools. You will quickly discover new patterns and answers to any business challenge and effortlessly share your insights across the organization for greater collaboration. Graphs and charts are great, but you can extend your data with location at the helm. Visualize your data on a map to see new patterns. It's easier than you think to enable mapping throughout the enterprise. You can do much more than simple mapping. 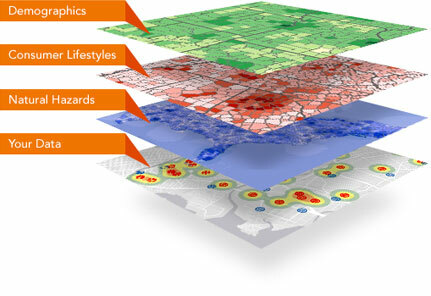 Combine your maps with up-to-date demographics, consumer spending, lifestyle, and business data. You can slice, dice, and recombine information to meet any opportunity and gain new insight. There is a brave new world of analytics waiting for you to use in your everyday business life. Turn mountains of unstructured and structured data into powerful intelligence. From simple to scientific, you can ask new questions of your data and get the right answers using location as your new analytic. Unleash location analytics to the entire organization. 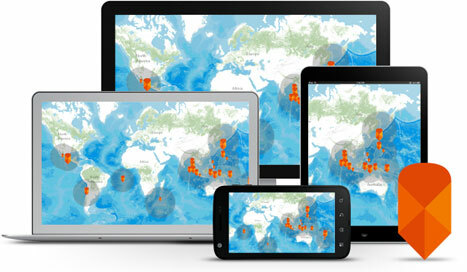 With Esri, the maps you create can be quickly and securely shared across any business system or device. That means you can make knowledge an easy-to-exchange organizational commodity. It doesn't matter what business system you have. We have the right location analytics fit for you. 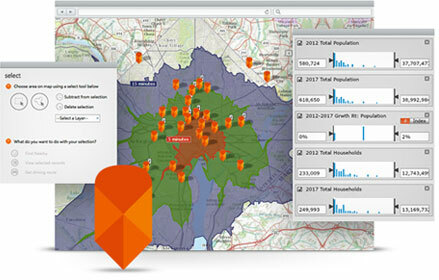 Whether through Esri offerings or partner solutions, you can add the power of location to your organization. From desktop to enterprise, from mobile to the cloud, Esri location analytics can work with any solution or system you have in place.